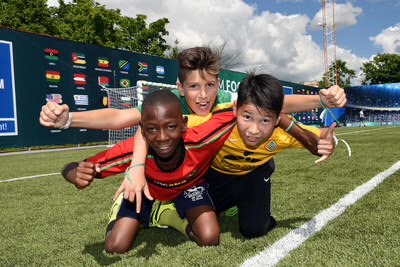 MOSCOW, March 18, 2019 /PRNewswire/ — The seventh season of the International Children’s Social Programme Football for Friendship starts today by Gazprom Company, official partner of the UEFA Champion’s League. The final events will be taking place in Madrid, the capital of Spain, from May 28 up to June 02. The Programme’s main aims are to support children’s and youth sports, to promote values of a healthy and active lifestyle as well as to nurture the youth to respect different nationalities and cultures. “The Football for Friendship Programme Implemented by Gazprom Company cultivates universal human values in the younger generation through sports, winds the barriers down and gives youth a chance to find a mission and get their voice heard. This Programme provides an opportunity to work in a cross-cultural atmosphere thus contributing to the development of a global sport society,” says Miquel Puig, Owner&CEO of Soccer Barcelona Youth Academy.